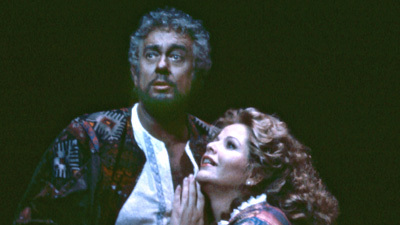 In an Opening Night performance for the history books, the great Plácido Domingo sings the title role of Verdi’s Otello for the first time at the Met. This supremely demanding part was to become his signature role, an accomplishment against which other interpreters are still measured to this day. 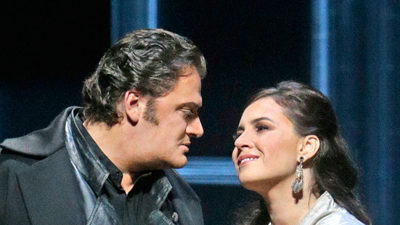 Domingo stars opposite Sherrill Milnes’s conniving Iago and Gilda Cruz-Romo’s touching Desdemona, all brilliantly conducted by Music Director James Levine.